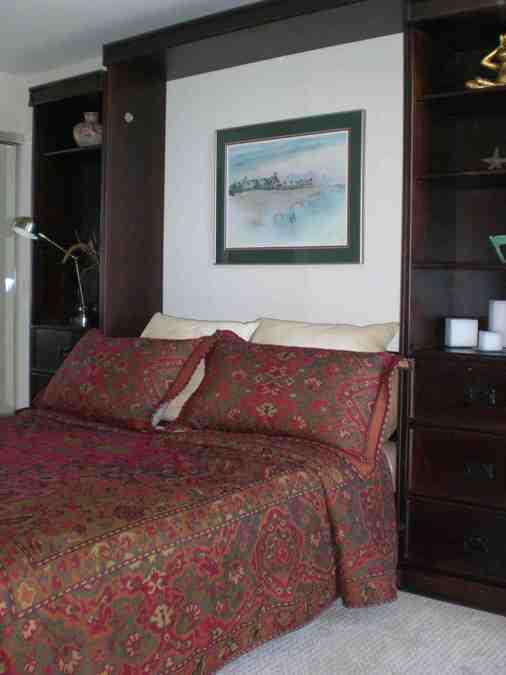 Completely renovated 3bed/3bath with King master suite with partial ocean view, Queen suite with bay view and 3rd bedroom with partial ocean view with 2 double beds. 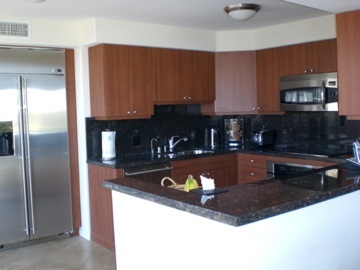 Condo has marble tile floors, granite counters in kitchen, dining room table for 6, washer/dryer, AC, flat screen TVs with DVD and DVR, wireless internet, local phone. 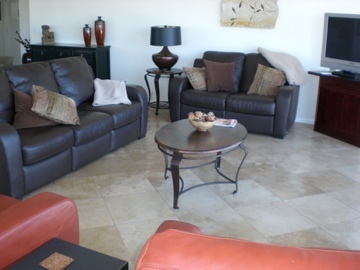 Free use of pools overlooking the beach, hot tubs, tennis courts, and fitness center. This is a gated condo complex with a doorman 24 hours and underground parking. 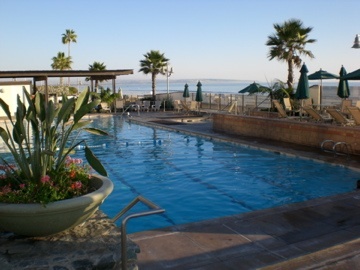 Coronado Shores is located right on the beautiful sandy beach that was voted "best USA family beach". On the other side is Glorietta Bay with rentals for kayaks, sailboats, etc. The Historic Hotel del Coronado with its domed red roof, restaurants and bike/surrey rentals is on the north. Navy Seals can be seen training on the adjacent property to the south. 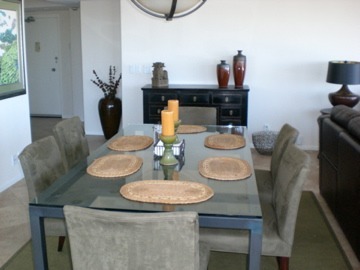 The condo is within easy walking distance to dozens of restaurants in Coronado's resort downtown. A public golf course is nearby. Downtown San Diego with its Gaslight District is just over the bridge or by ferry. Local attractions include Sea World, Wild Animal Park, famous San Diego zoo, aquarium. Disneyland and Knotts Berry Farm are just over an hour away (Universal Studios another 45 minutes). Mexico is about 40 minutes away to the south. 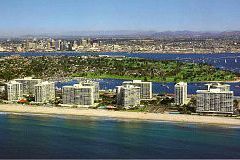 Coronado has wonderful mild weather and is a year-round tourist destination. (John McCain's wife has 2 condos in the complex). 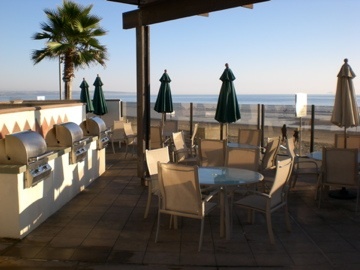 It is 20 minutes from San Diego International Airport. Take I-5 South and turn off to Coronado over the bridge. Drive into town about 5 blocks and turn left on Orange. Drive through the retail district past the Hotel del Coronado. Turn into Coronado Shores at the light, check in with the gateman, turn left to El Encanto condo. We have stayed at this property 3 other times with the help of IVHE home exchange trade coordinators. This time we were trying to put a trade together very quickly. The owner was nice enough to respond even though they were on vacation out of the country. We were able to get the dates we wanted to be able to book our flights. We had not been there at this time of the year before and the weather was great. The property as always does not disappoint. You have views of the ocean and the bay. The property site has access to swimming pools overlooking the ocean and a walkway to enjoy ocean views. There is garage parking and the property is represented accurately by its description. It is a pleasant walk to town of Coronado and with a bike you can get anywhere locally without going to the mainland. There is also ferry access to San Diego and all of those sites. Great place, great location and accessible! The Coronado Shores property was extremely nice. The views from the condo were great, as well as the surroundings. This is a great property for holiday. Owner communication was excellent, the property description was accurate, and there are so many local activities we couldn’t hit them all. I would definitely recommend this property to anyone. I have stayed here 3 times I believe, and love it! I have stayed here 3 times I believe, and love it. it is as represented or even better. the location is fantastic with exceptional views. there are lots of amenities. 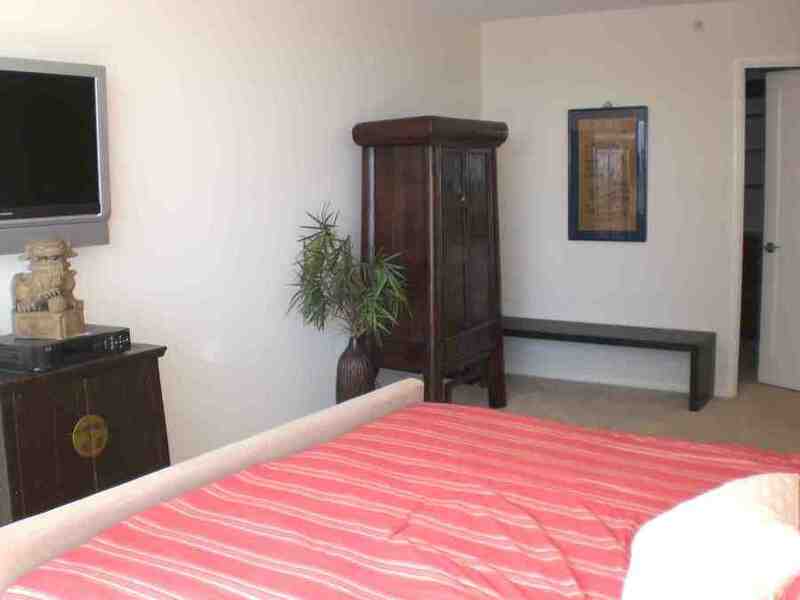 the condo is furnished nicely with most things furnished to make your stay enjoyable. you can easily walk to town so car not used much once there. The beach is close. this area is not far from San Diego if a visitor wanted more diverse events. we actually biked to San Diego and caught the ferry back. so lots of things to do and there is a covered parking spot. it is one of our favorite places to visit. I have met the owner and she is easy to work with or provide information regarding their property. Our visit to this Coronado beach condo was such an enjoyable experience due to the condos amenities, spectacular views and proximity to the beach and the Del Coronado properties. While the photos of the condo and views were great they are nothing compared to our personal enjoyment. It was difficult leaving the view everyday but wonderful every time we arrived back from our daily walk on the beach. 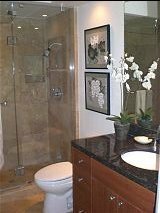 The home owner was very helpful and accommodating both prior to and during our visit to their second home. We would highly recommend a visit to this Coronado gem. Thank you IVHE staff for facilitating this visit. I was very pleased with the IVHE administration. The coordination and efficiency of the online request system worked very well. In addition, the contract documents process allow for a very transparent and sound agreement that makes this type of home exchange much easier to negotiate. The apartment itself that we visited was wonderful! The space, views, and style of the apartment were even greater than we had anticipated based on the description on the IVHE site. The owners gave us very clear access instructions and were quick to communicate and follow up on details. We are definitely eager to return to this property in the future. The pictures do not do justice to this beautiful place. The views are fabulous and it is close to town for walking and convenience. The weather is consistently good. We look forward to another visit. 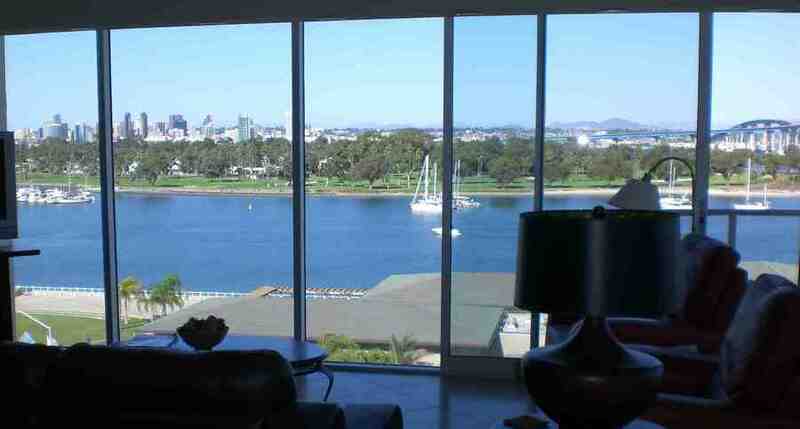 Spectacular view of San Diego, bay and bridge from Coronado Shores condo.